First of all We are Specialized Contractor in Brownstone Facade Renovation Brooklyn, Manhattan also over in Bronx City. Since therefore two decade Perfect Renovation & Contracting Co has been serving with Landmarks Brownstone Renovation. Brownstone Renovation & Remodeling Contractor Based in town houses, Apartments, in addition Lofts, Commercial Residential and Industrial projects. Location of Brooklyn, Manhattan also over Bronx metro area. Consequently as a Contractor successful project has earned us a great reputation with our clients. Finally we are Contractor especially relevant in Brownstone Renovation (Stoop & Facade), Facade Restoration, Waterproofing, Roofing, Pointing, Brick Work, and Cement Work also Scaffolding Work. Also Kitchen Renovation & Bathroom Renovation. We are Contractor all Brownstone exterior reclamation administrations in addition precast solid outsides, precast limestone boards, and also marble polishes and conventional brick work outsides. Furthermore The Facade condition appraisals that we almost have done to create development archives that are same required to do weakened Facade framework repairs. Brownstone Facade Renovation Brooklyn We in addition have the mastery to help you with consequently inadequate development joints and safe haven congregations. In conclusion Perfect Renovation & Contracting Co Designing and Renovation Contractor in Bronx City. Homes and apartments for since almost two decades. We strive to provide outstanding service, and therefore make your home seems like your dream as a result. in conclusion Seeking an expert renovation contractor in Bronx ? 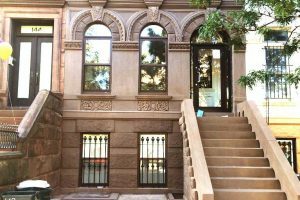 We are fully licensed & insured Contractor , in addition specialize Contractor in Brownstone Facade Renovation Brooklyn in the Bronx metro area as a result.